← Why the Indian system hounds the upright….? Uttarakhand has something for everyone – the tourist, nature lover and the pilgrim, whether one is a Hindu, Sikh or Buddhist. Over the past seventy years, the authorities have gone out of their way to present the region as the thrilling vacation hotspot with compelling landscapes, teeming wildlife, and adventure zones. The same diligence has not been shown to present its shrines, particularly Hindu shrines, as I noticed during my Char Dham yatra. 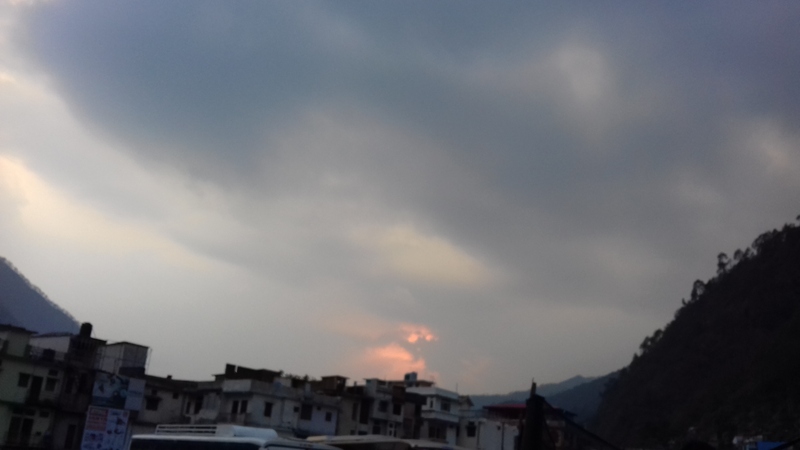 By all accounts, Uttarakhand is the abode of Gods. Hinduism’s most important pilgrimage centres are here amidst stunning snow-covered peaks and verdant valleys, and some of the holiest rivers — the Ganga, Bhagirathi, Alaknanda and the Yamuna. 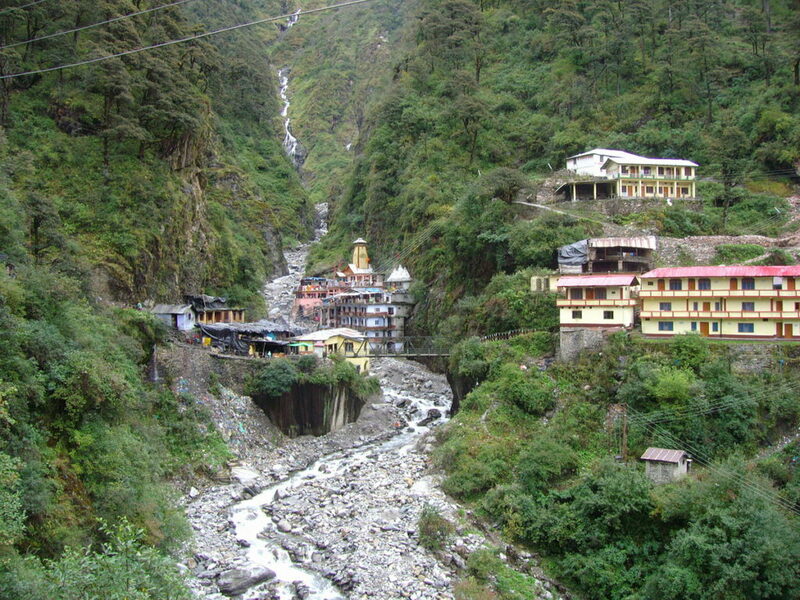 There is nothing more rewarding than a bath at Yamunotri and a dip at Gangotri. Reaching Yamunotri is a nightmare even in these days when India is sending ISRO missions to the Moon and Mars. One has to trek for about five- six kilometres along a hill track. Well, the trek has cement steps but walking on them is no pleasure. People can mount a horse or take a doli –a makeshift palanquin which is carried by four-five people.Both rides make you angry and scared in equal measure with devotion taking a backseat. Also while returning after worshipping Yamuna Maa with the Banderpoonch Mountain ranges in the background! Well, man and beast (horses) share the same route, which is not wide. So does the incoming and outgoing traffic. At several places, one runs the risk of hitting the roof literally since the hill side comes out jetting into the pilgrims’ path-way. The horses are said to be well looked after; nonetheless these animals deserve a visit from the likes of Maneka Gandhi, who are only worried about the welfare of stray dogs, and who stand in the way of testing medicines on animals. From what I have seen and experienced, the pilgrims too deserve a better deal. Taking shelter under the good old adage that God can be found only after a great effort is neither here nor there. A rope way, like the one to Mansa Devi temple in Haridwar will elevate the spirits of an estimated five thousand people who undertake the arduous trek to Yamunotri every day during the pilgrimage season. Also at Kedarnath. The government has planned a 3,833-metre ropeway some eight years ago to link the Yamunotri shrine with Jankichatti, the base camp, which is accessible by all-weather road. All clearances – environmental et al were secured by 2014. Yet the ropeway remains, as a local wag puts, PUC – paper under consideration. 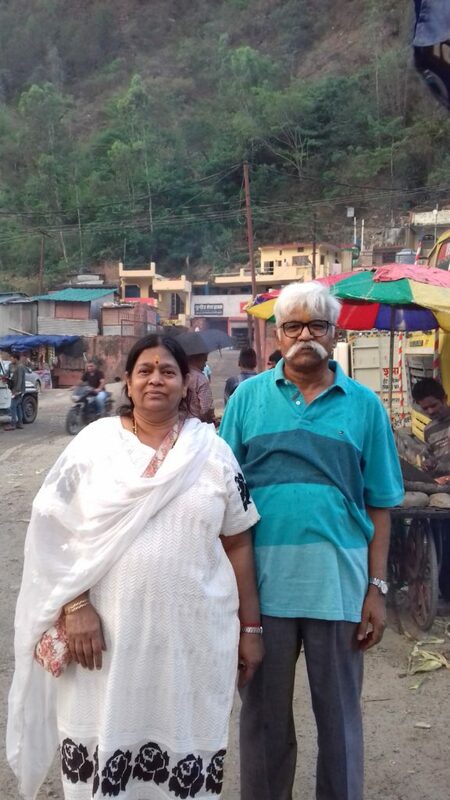 I could spot a mobile tower near Yamunotri but did not find anyone speaking on a mobile phone. The standard refrain, not only here but also in most of Chardam Yatra route, is same – mobiles do not work. The situation is not much different in Kedarnath; it is better in Badrinath and Gangotri, though. Even Uttarkashi, one of the most developed parts of Uttarakhand, makes you believe that you are in pre – mobile age. Only two service provides are active in the city and their phones come alive at their sweet will, as the receptionist at the hotel, where I stayed, told me. Early June (2018) the BJP-government announced plans to connect remote villages with Wi-Fi with balloon-based internet. Another Alnaskar dream in the making! All this has not come in the way of satellite TV antenna becoming ubiquitous. Which again proves that where there is a will there is a way. And certainly, the will is lacking in Uttarakhand, even with the self-anointed Hindu champion, BJP in power, to make the pilgrims progress a pleasant one. 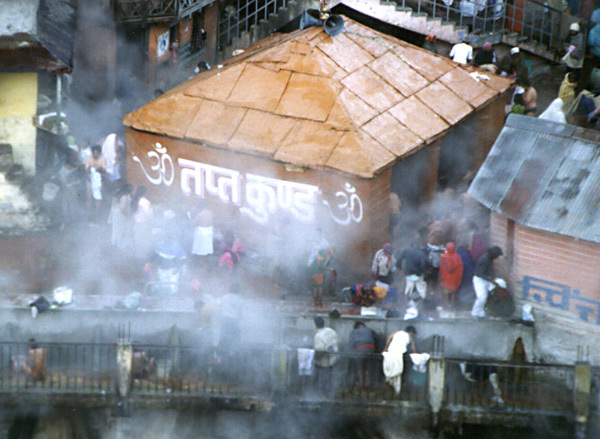 The demand, indeed the urgency, is for some material comfort – not for a gift like Surya Kund – the hot spring- God has gifted in the cold environs of Yamunotri. The trek to Kedarnath on the bank of Mandakini River is also very demanding. Before 2013 floods, the situation was better since the route from Gaurikund to Rambara and to Kedarnath was a nicely built pavement with fences, shelters, shops and public conveniences. The new route is longer (16-17km), and passes through Rambara Bridge and Linchauli. From 2016, two more trek routes have been opened. These are Chaumasi – Kham – Rambara – Kedarnath (18 kms), and Trijuginarayan – Kedarnath (15 kms). A helicopter service is available to Kedarnath (also to Hemkund Saheb and Yamunotri base camp). Pawan Hans, Heritage, Pinnacle, and Himalayan Heli are among five-six companies that airlift pilgrims whenever the sky is clear. And charge extra from persons with extra kilos (80 kg plus) I found Heritage to be a friendly service with a smile. 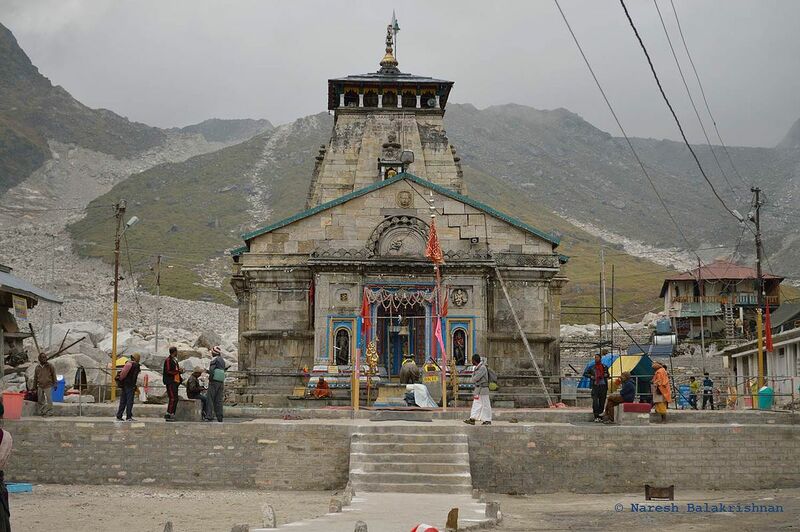 Frankly I did not find the much talked about Modi touch to the Kedarnath yatra though the local know-alls credit the cemented road to the shrine from the helipad and few shelters (that offer protection from wind and rain for a price) to the Prime Minister. I was surprised not to find Modi photos, and Modi banners in abundance in the BJP – ruled state. It looks like a calibrated effort to insulate the Hindu Hrudaya Samrat from the wrath of pilgrims. 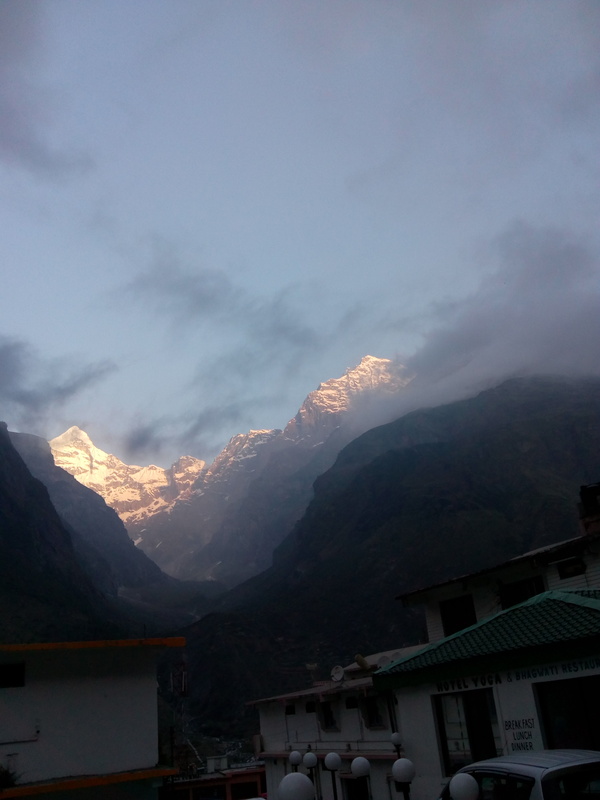 Yatra to Badrinath and Gangotri is, indeed, a pleasant experience. The trip involves no trekking. And the vehicle takes you to heart of both places. 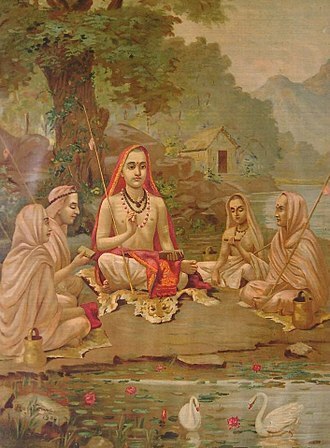 Also to the cave where the sage Vyasa is believed to have scripted the epic Mahabharata. This place is a short distance from Badrinath, beyond Mana, the last village on the way to the border with China. On the way to Badrinath is the Shakti Peeth, Dhari Devi, considered to be the guardian deity of the entire state of Uttarakhand. 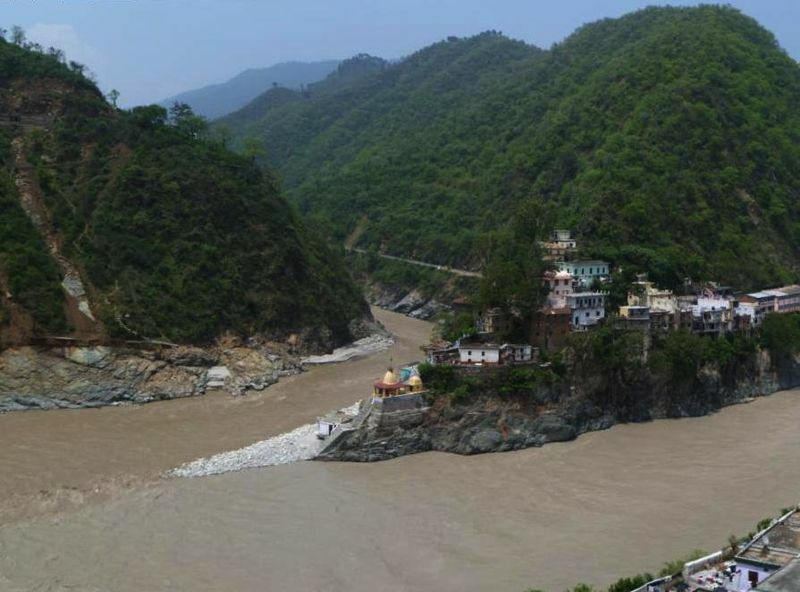 The temple priest attributes the 2013 floods in Uttarakhand to the then government’s plans to shift the deity from its abode to facilitate a project on Alaknanda at the very same place. 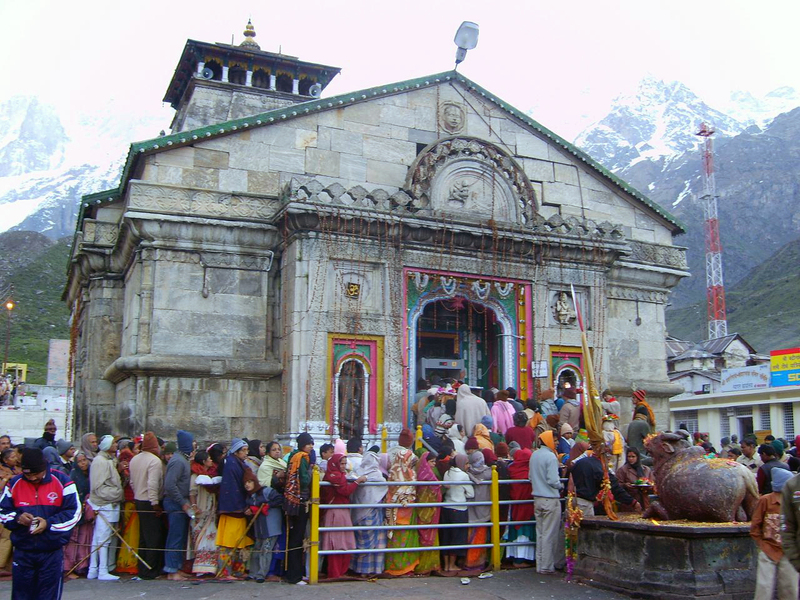 It is difficult to imagine how Adi Guru Shankaracharya had visited Kedarnath and Badrinath in the 7th Century. Equally impossible is to visualise how a priest daily visited Kedarnath to offer puja and then arrived at Badrinath to conduct regular worship? 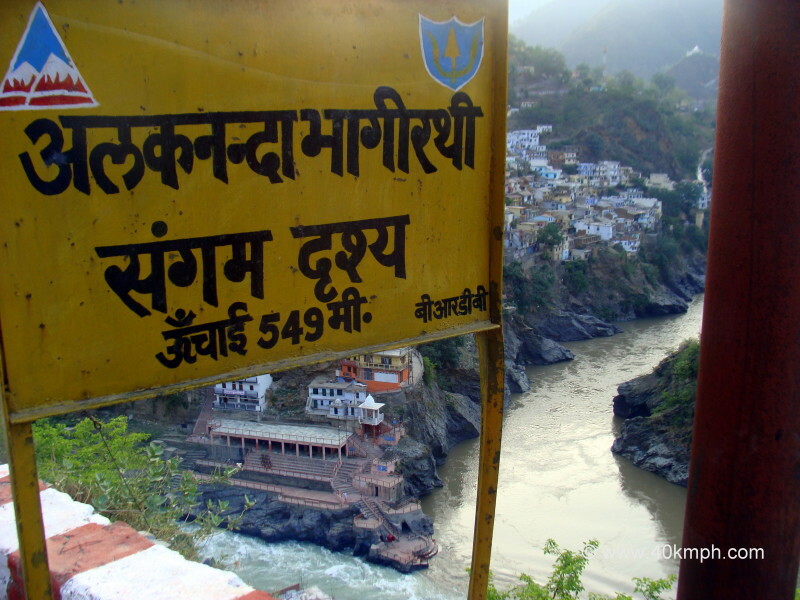 Char Dham Yatra, by tradition, begins from Yamunotri (altitude 3235M) in the west and heads eastward to Gangotri (altitude 3200M) and Kedarnath (altitude 3581 M). It terminates at Badrinath (altitude 3133M) where a bath in the Tapt Kund (hot water spring) is an experience with no parallels. 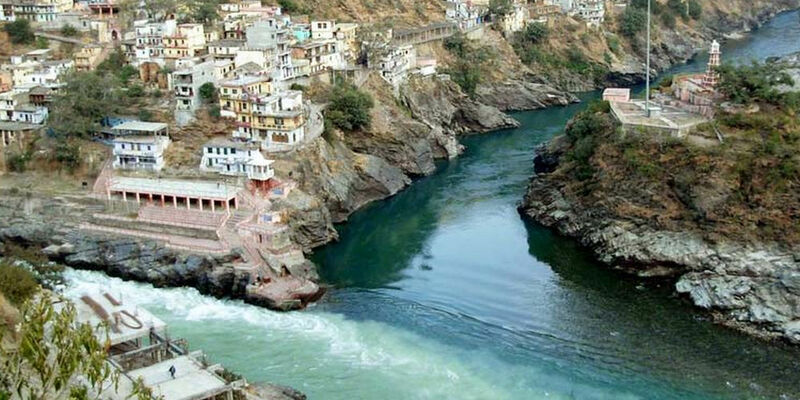 How God created a hot spring on the banks of Alaknanda that flows like a torrent inspiring fear and awe in equal measure is beyond an average mind. Even if one is a rationalist. It is for nothing faith has been dubbed as the opium of masses. As one drives through the zigzag mountainous paths that “remind us of the trajectories of life that are never straight,” a question begins to haunt you. 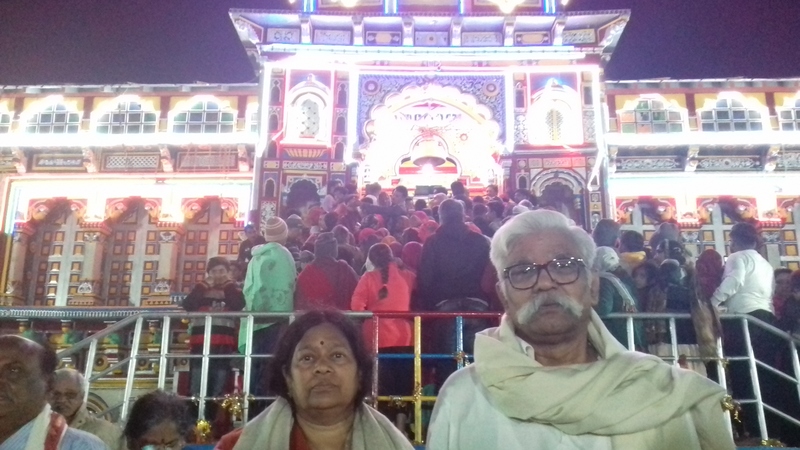 And it is that why successive governments have not bothered to give a makeover to the Char Dham Yatra, which is undertaken mostly by people in their sixties, if not seventies. China has been able to lay a rail link to Tibet from Beijing through what is no more than a snow desert. Russia is running a train service through Siberia. Not so rich Peru, Bolivia and Argentina are home to the highest (mountain) railways. Yet, we have done precious little to improve journey through our very own Uttarakhand hills taking shelter under the plea that it is a landslide prone belt. Funnily, this alibi has not stood in the way of the thirst for hydel power. It is turning the hill state into multiple Koyanas (Koyana dam on the Krishna has made the Deccan more prone to earthquakes). More alarmingly the hill state is fast becoming a gas chamber of sorts. Registered commercial cars and jeeps are already more than 10,000. The number of buses – state owned, is put at 1000 plus (on 35 nationalized routes) while private buses are another 3000, if not more. In addition are the tourist buses loaded with pilgrims. Their number is also substantial. There is no thought whether the Uttarakhand roads can take so much load. Police are seen checking driver’s’ licenses at several places; no such concern is visible to check the diesel fumes the vehicles are spewing. Helmet wearing is a habit that is still to catch up with the youth of the region. In Deva Bhoomi such mundane concerns are not for the man, probably! Now to the question that rankles one on a visit to Uttarakhand. Why this neglect of treasures of Deva Bhoomi? This, like the great neglect of Deva Bhoomi, is a great disservice to Hinduism itself!